Will birds be able to keep up with a changing climate? For anyone who thrills at a warbler’s song or a tiny hummingbird’s trans-Atlantic flight, it’s a troubling question. 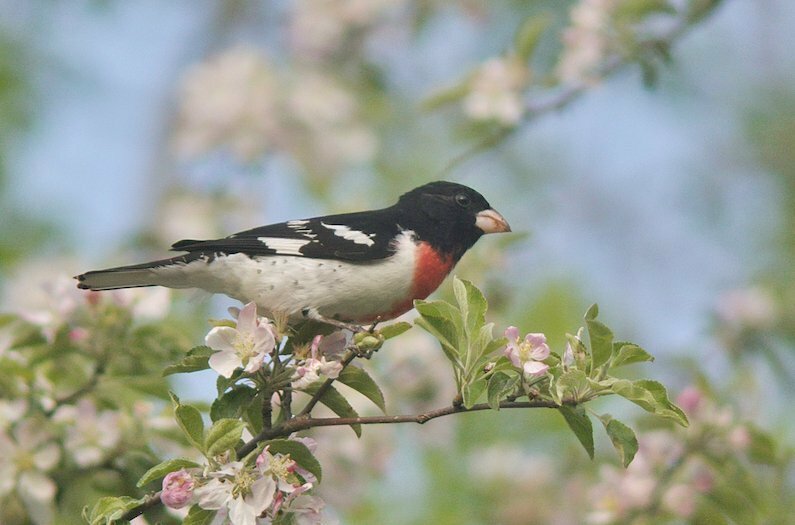 Some studies suggest that, especially during springtime, the synchronization of weather and breeding cycles will be knocked off-kilter—a “phenological mismatch,” as scientists say, which would extinguish much of the feathered world. Yet amidst this grim picture, a ray of hope: a study of 21 bird species in southwestern Pennsylvania found that, at least so far, they’re adapting. “We found compelling evidence that breeding passerines exhibited phenological sensitivity to changing climate,” write the study’s authors, biologists Molly McDermott and Lucas DeGroote of Carnegie Museum of Natural History, in the journal Global Change Biology. McDermott and DeGroote analyzed long-term weather records and a remarkable dataset of passerine birds — the taxonomic order containing perching birds—counted at a single station for the last 53 years. In general, they now lay eggs a full month earlier than before, though there’s considerable variety within that generality. In the meantime, though, people might yet have time “to do all the things we know we should do for the planet, but choose not to for any number of rationalizations,” says DeGroote. This includes not just stopping climate change, but halting the habitat destruction and resource consumption that in many cases is an even more pressing threat. And while we’re doing that, DeGroote hopes we’ll find time to listen. Source: McDermott, Molly E. and Lucas W. DeGroote. “Long-term climate impacts on breeding bird phenology in Pennsylvania, USA.” Global Change Biology, 2016.